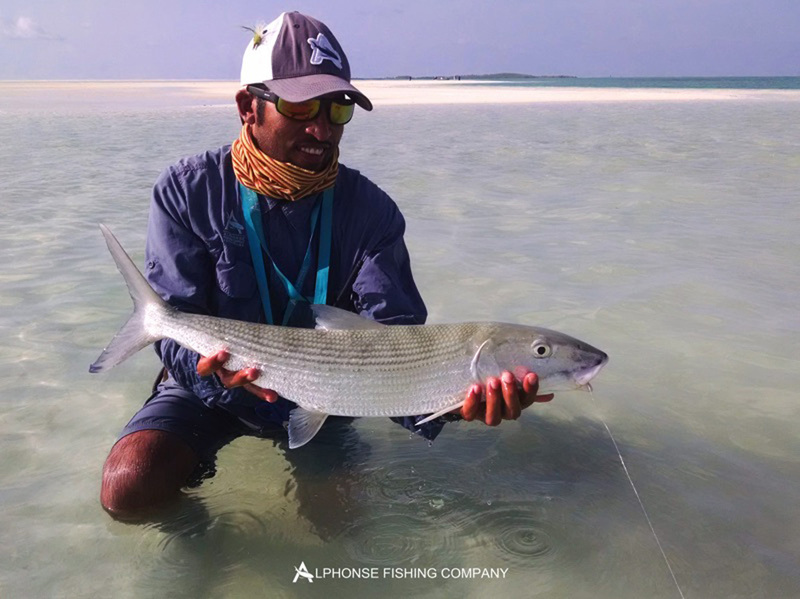 Week 17 marks the halfway point of the season and once again there was a full complement of guests who joined us for a fantastic week of fishing. 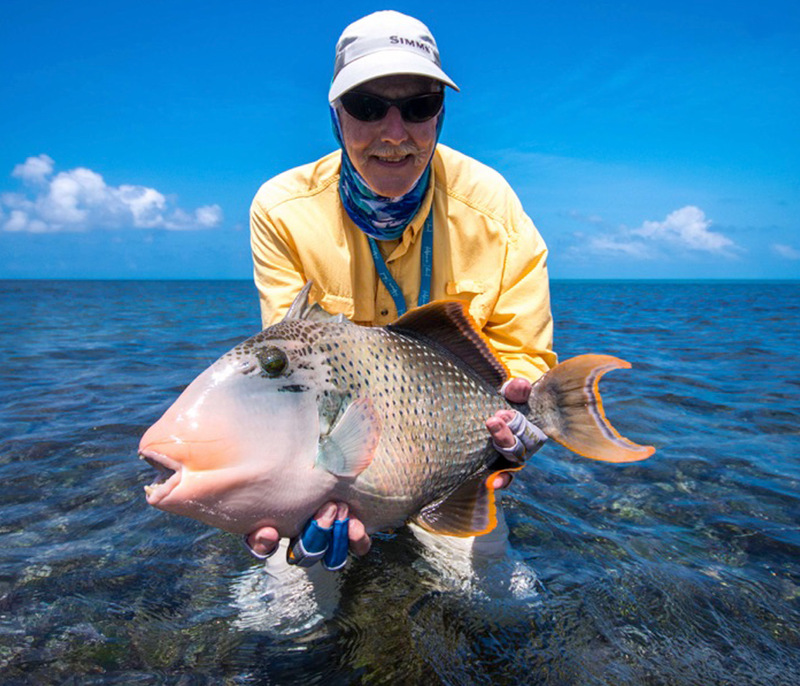 Flats fishing is often about precision, chasing tides and timing. 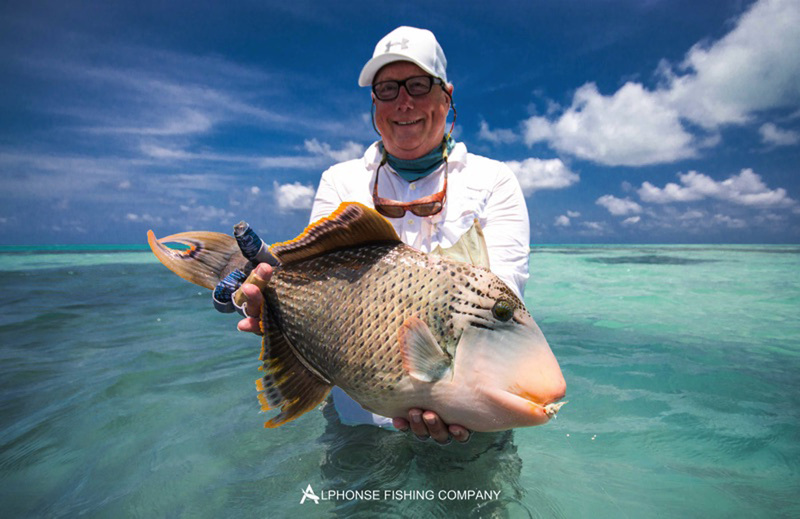 This week was testament to that and produced one of our best triggerfish weeks with the tides lending themselves to lots of time on the flats and happy tailing triggers. The tidal cycle was unusual and stayed a mix between neaps and springs which gave an awesome dynamic of a nice slow push and drop early in the week, moving onto a more dramatic drop with a nice low tide and a slow push for the rest of the week. All this meant lots of time on the fingers and in the surf. 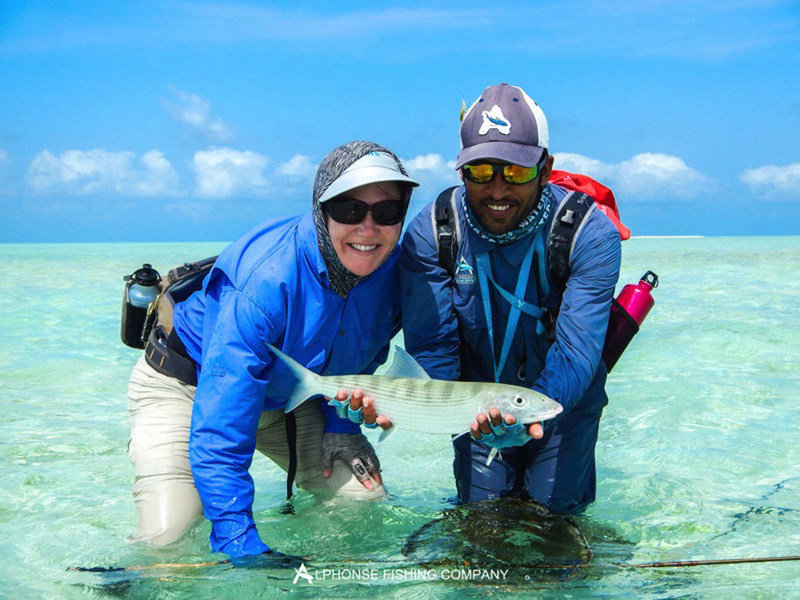 The quintessential bonefish Sunday was the name of the game first thing but it didn’t take long for the guests and guides to move straight onto the triggerfish. First to join the club were father and son Ed and Andy Southwick both with a beautiful yellow-margin triggerfish each. 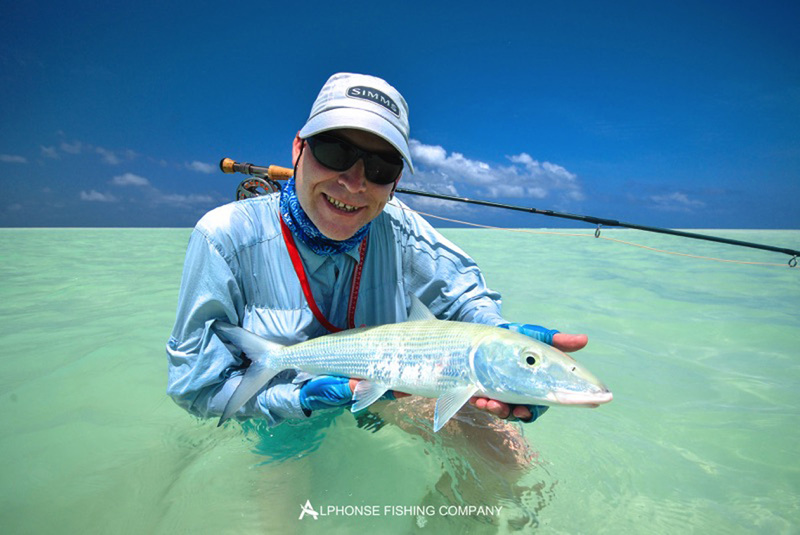 Andy however went on to better his old man this week by landing another big yellow-margin and a beautiful 9.5lb Bonefish. 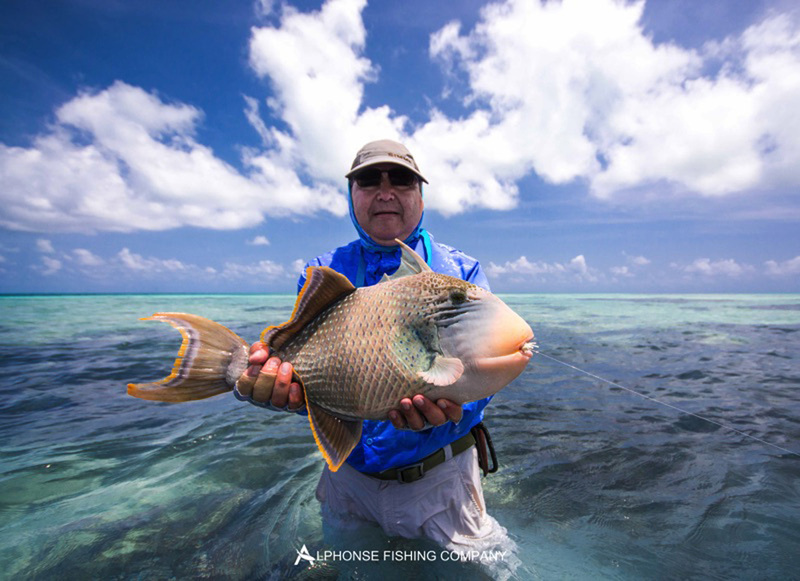 This week the yellow-margin were in full force, lots of moustache triggerfish were hooked but all managed to win their battles. Jim Sanchez finished his week off with two big yellow-margin, his good friend and boat partner Barry Brooks wasn’t far behind with two big yellow-margin in one day. This is pretty impressive and doesn’t often come together like that. 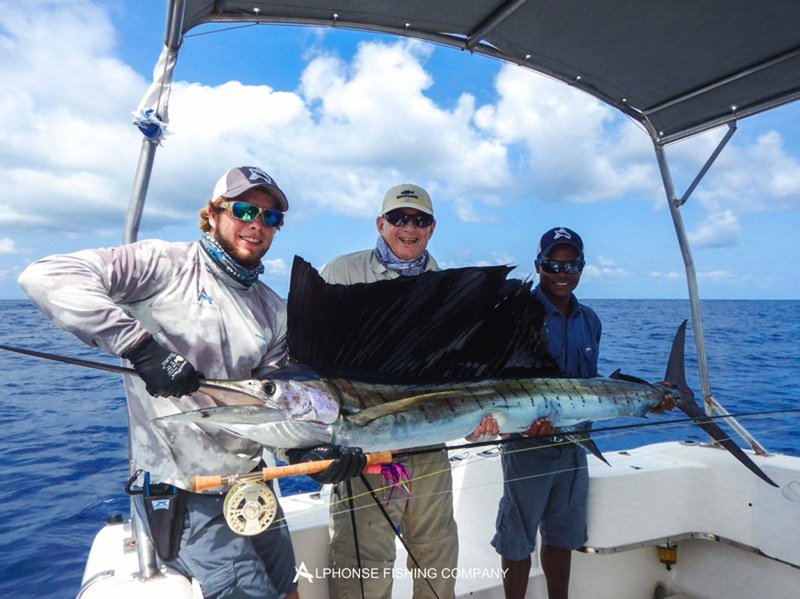 Following suit was Chris Southwick with a gorgeous yellow-margin of his own. 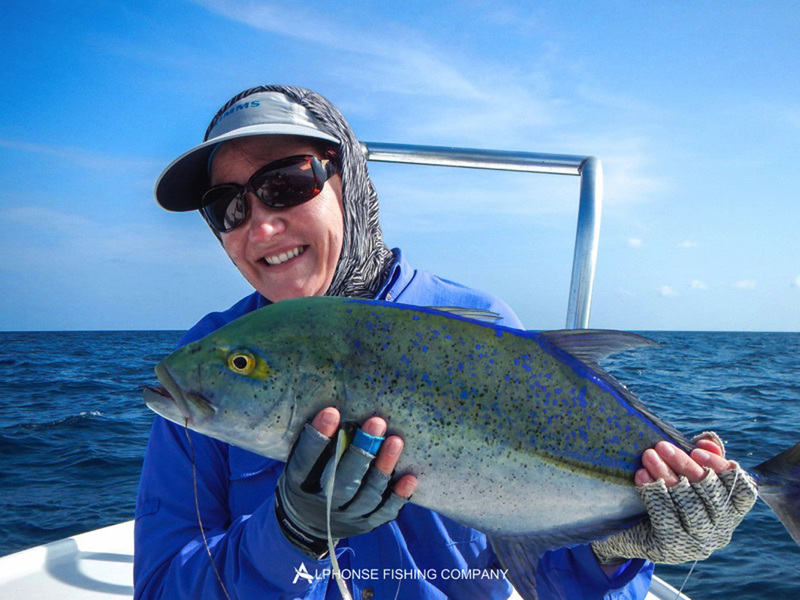 This left us with a total of eight triggerfish for the week and all good sized fish. 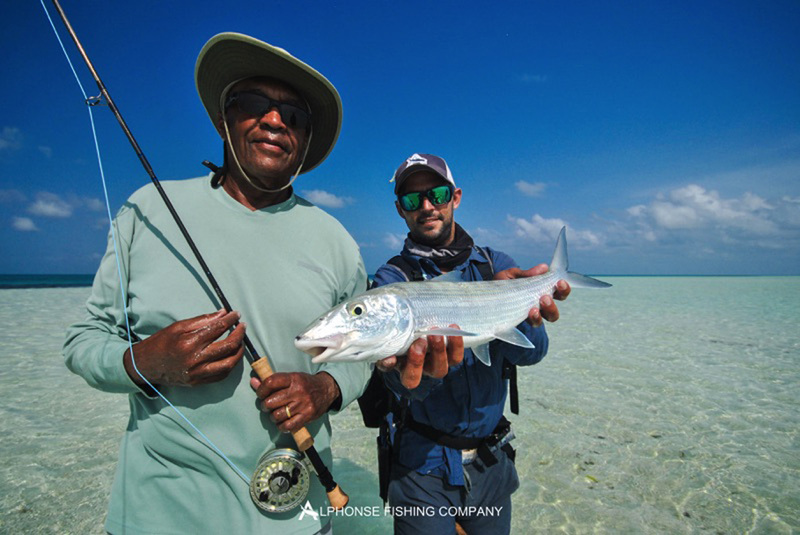 Off the flats the fishing was just as good, with Danny Parker and Tom Bernstein heading out into the deep to experience blue water fly fishing first hand. 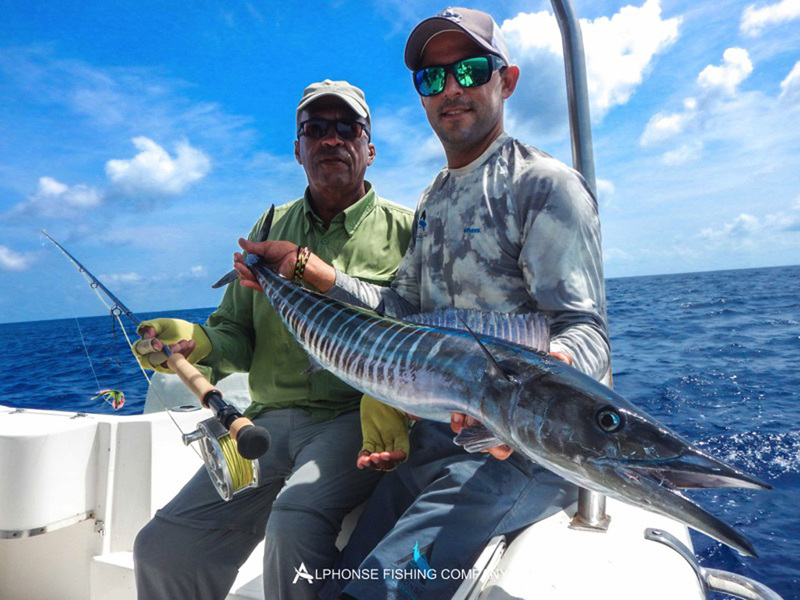 Danny came home with a gorgeous wahoo and Tom got his hands on his first ever sailfish on fly. Another fantastic week of fishing had to come to end, with some great fishing stories and some awesome experiences. 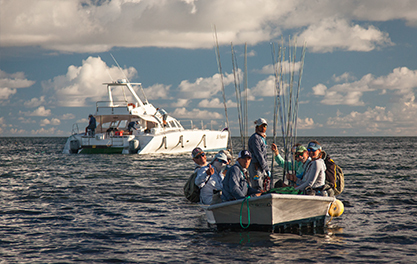 Fishing with fathers and sons, old friends and families is what makes this sport as incredible as it is. 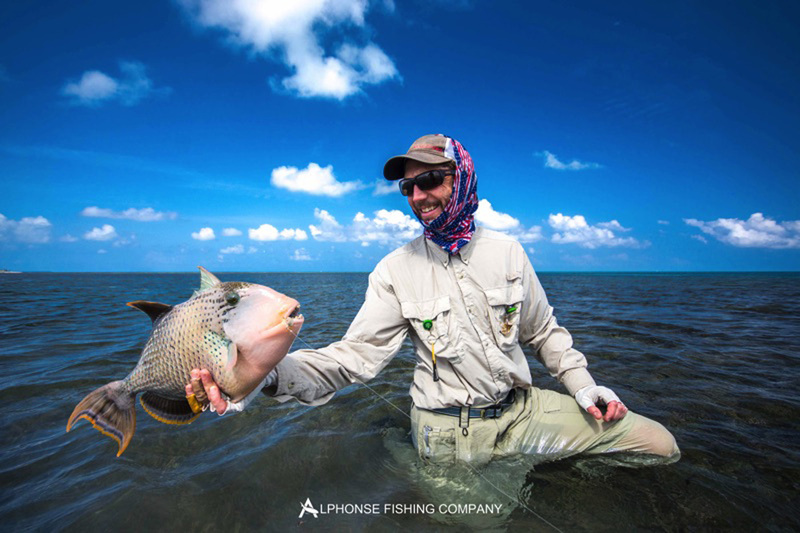 Fishing is just the bonus, it is often all about the people you are with that make it special.